For my own DT card I decided to use the adorable Bilmalarna "Mimosa" . She is coloured with promarkers. The papers are from a Dovecraft stack and I thought they'd be great at they have such a lovely swirly pattern. I have also added a die cut swirl (was sent by a lovely craft friend of mine, so I'm not sure if its make), the pearls are from Meiflower and the crochet lace came from The Works. who are offering a $10 gift certificate. Hope to see lots of you joining in with us, you can find us by clicking the link at the top.....also come and check out the other amazing DT cards. Gorgeous card Lisa, I love the cute image and beautiful papers. 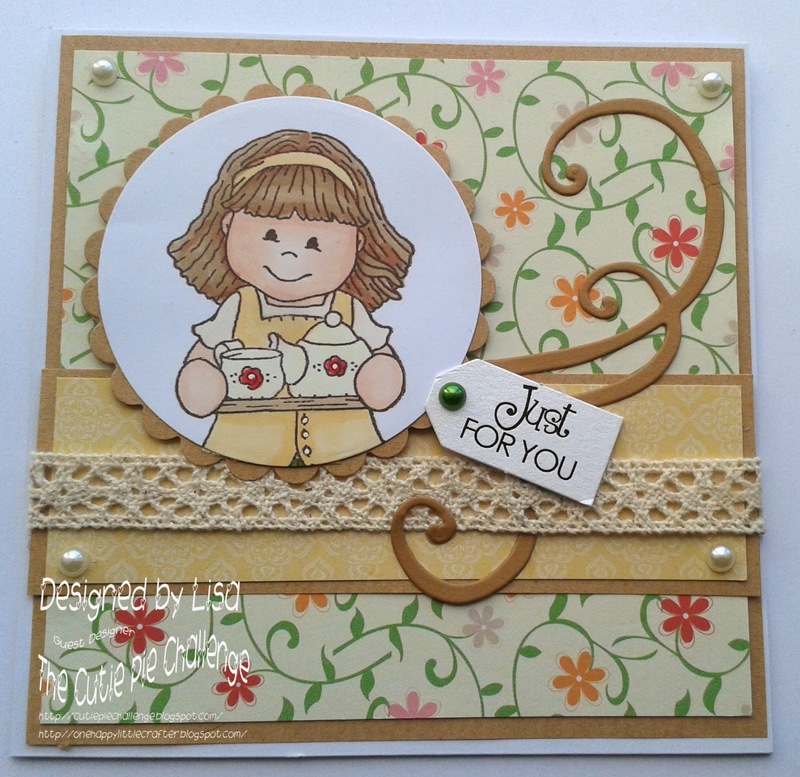 Hi Lisa, your image and card are both super sweet - such pretty colours as well. And that paper is perfect. The Cuties want to see your dies and punches! 'Cos Mums are Cuties Too! 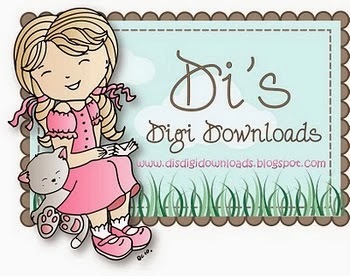 A Little Freebie for you all! A bit of James on a Friday!